Northeast Asia, anchored by Japan, China, and South Korea, is home to three of the largest economies in the world, all with dynamic business environments. Throughout history, geographic convenience led to international business being transacted primarily through Southern Asia within relatively close proximity to the hubs of Hong Kong and Singapore. 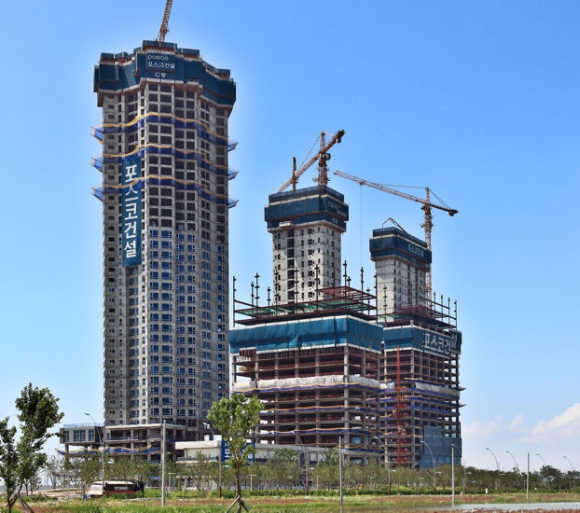 The explosion of economic and business growth experienced by Northeast Asia in the last decade has led to the need for another, northern Asian hub. 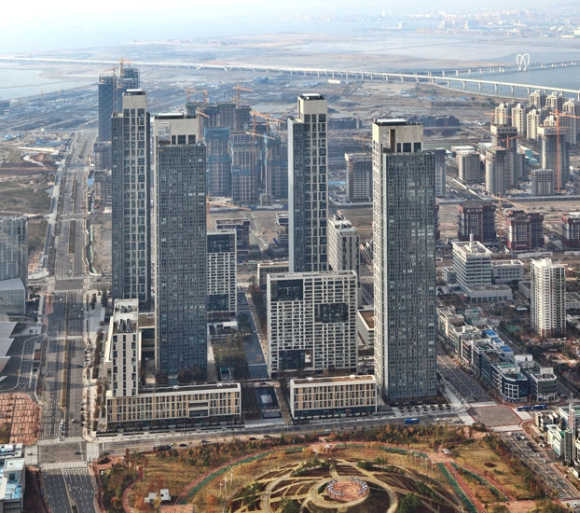 Songdo International Business District officially opened on August 7, 2009, as a designated Free Economic Zone and the first new sustainable city in the world designed to be an international business district. 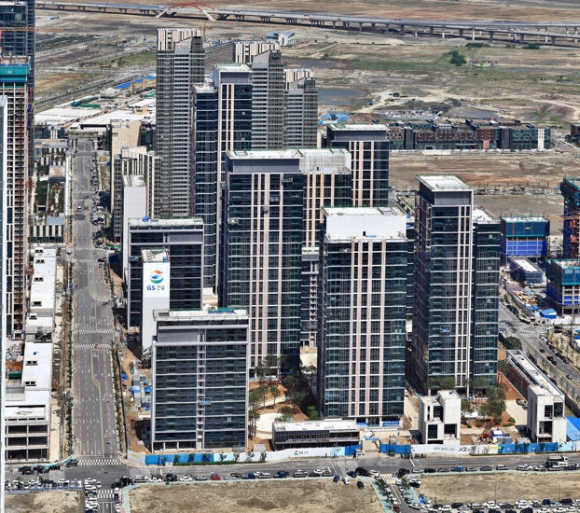 With its strategic location just 15 minutes driving time from Incheon International Airport and three-and-half-hour flying time to one-third of the world's population and regional markets such as China, Russia and Japan, Songdo IBD will position South Korea as the commercial epicenter of Northeast Asia. 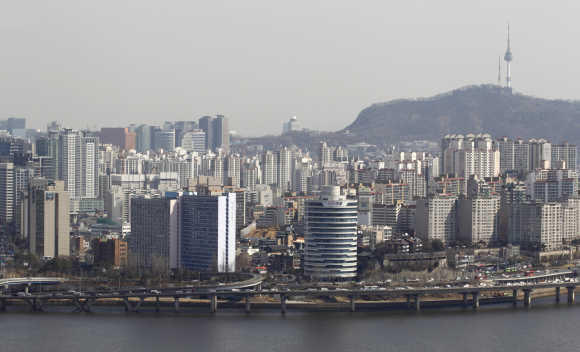 Image: A general view of capital Seoul. 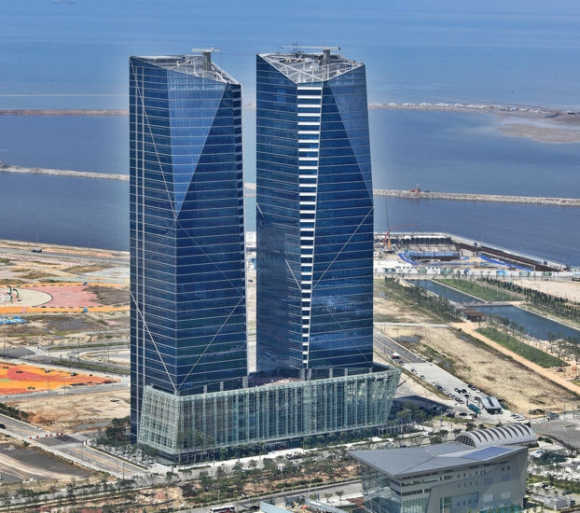 Songdo IBD is an international city that offers every conceivable amenity, attracting multinational and domestic corporations to this new location. 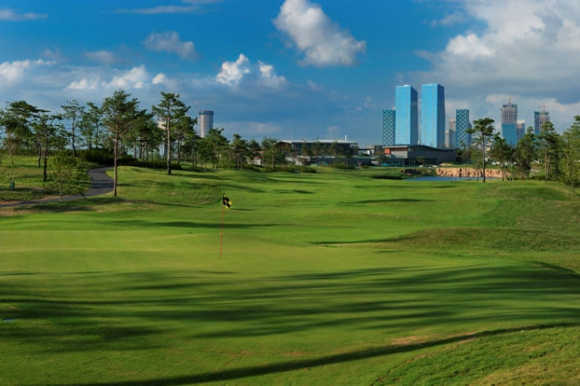 These include all the advantages of a master planned environment with 600 acres of open space and parks, an advanced technology infrastructure, the architecturally-stunning Convensia Convention Center, fine hotels, international schools, museums, a luxury retail mall, and the Jack Nicklaus Golf Club Korea. 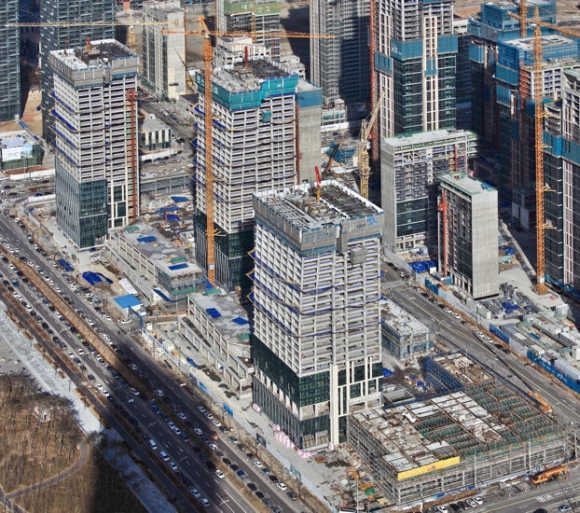 By employing the best practices of urban planning and sustainable design, Songdo IBD offers residents, workers and visitors an unparalleled quality of life. 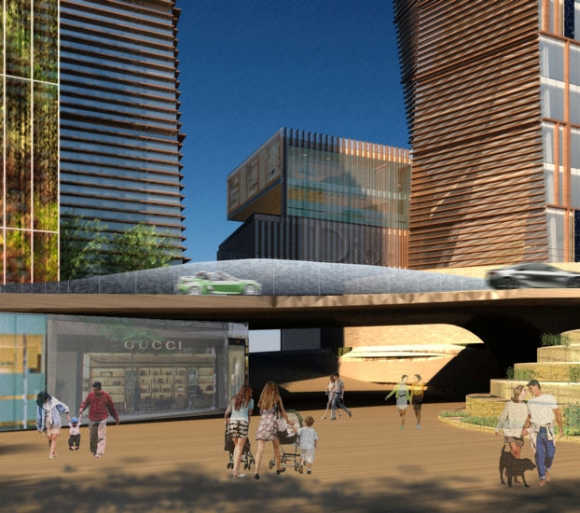 With a commitment to sustainable design principles and the best practices of urban planning, Gale International and its partners have realised their vision for a new international city. 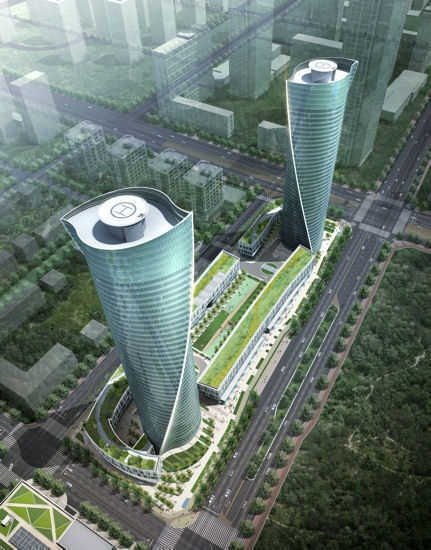 The master plan calls for a synergistic mix of uses for Songdo IBD, from architecturally advanced office and convention space to world-class hotels. 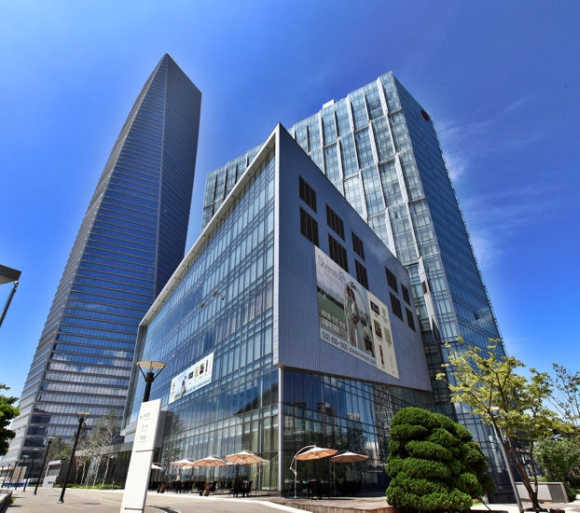 Songdo IBD is also home to a variety of residential and retail developments, offering a range of shopping, dining and entertainment experiences, as well as public and private schools and state-of-the-art health care facilities. 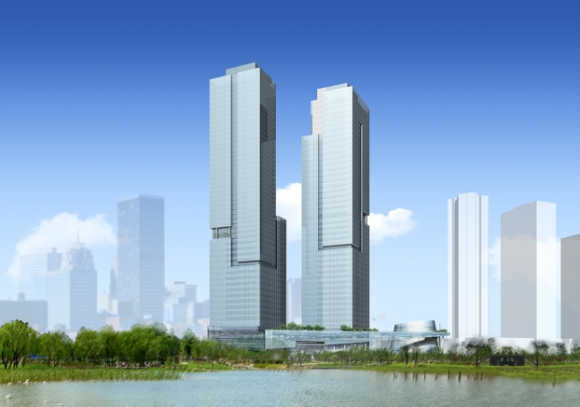 Woven into the Songdo IBD master plan is a rich set of amenities inspired by some of the greatest cities of the world. Image: The city has one of the best amenities. 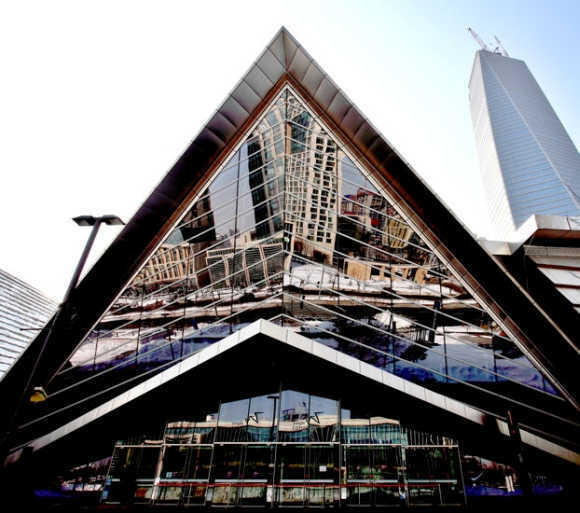 The cultural fabric of Songdo IBD will also be a rich one with a stunning opera house, concert hall, museum and aquarium. Image: The cultural fabric will also be a rich one. 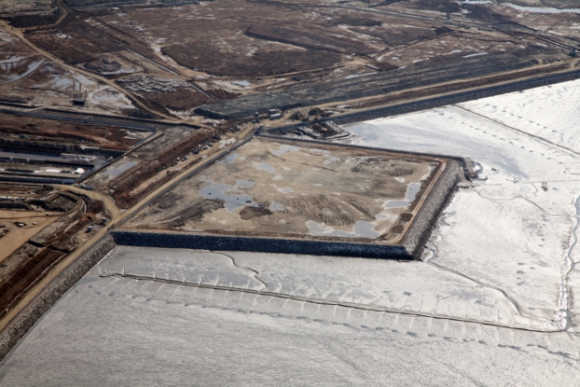 A Jack Nicklaus championship golf course - one of only 25 in the world - is under construction with plans already in the works for high-profile events, including a PGA Championship Tour event. 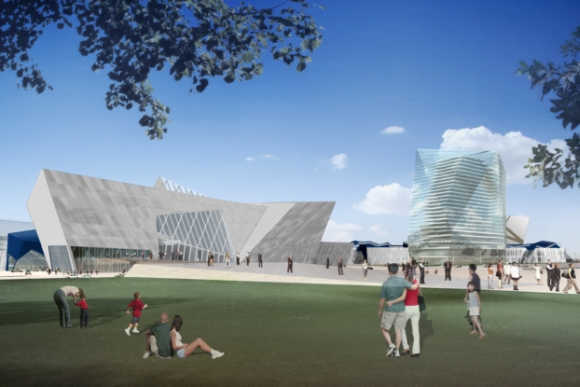 These features come together to create a dynamic, vibrant world community for business professionals and their families. Image: Jack Nicklaus Golf Club. 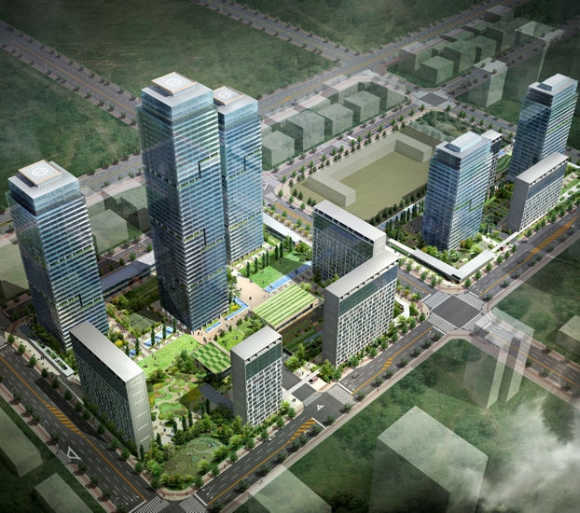 Six core design goals for Songdo International Business District reflect the commitment to sustainability for this new city spanning 1500 acres near Incheon, South Korea. 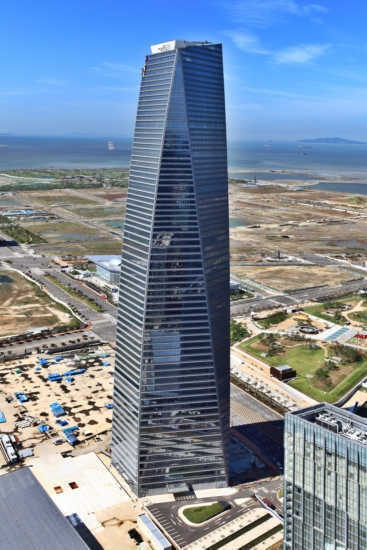 Image: Northeast Asia Trade Tower. These design goals are ambitious targets. But setting them - and meeting them - will set a new standard for green design for large-scale development projects across the globe. 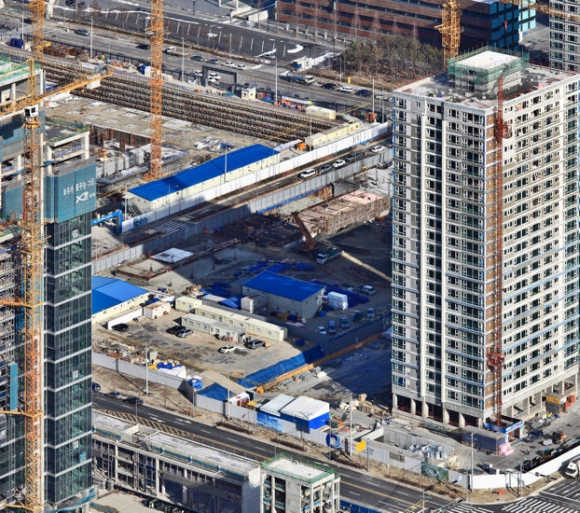 Songdo IBD parcels target certification under the LEED-NC and/or LEED-CS rating system. Third party development land sale agreements will contain language mandating that buildings erected must pursue LEED Certification. 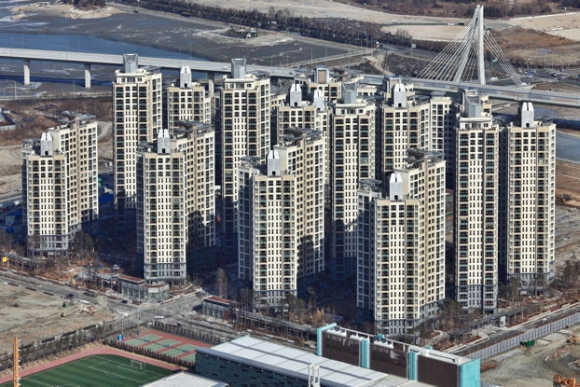 Songdo IBD is also part of the LEED-ND (Neighborhood Development) Pilot Program. 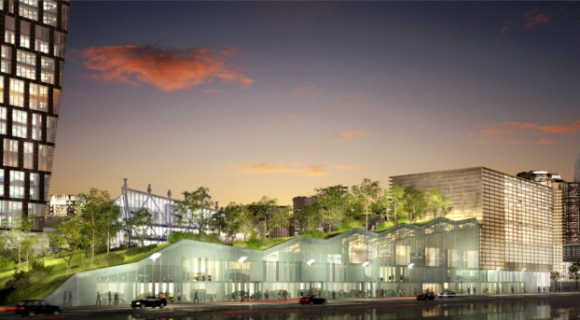 The LEED-ND programme emphasises neighbourhood connectivity, access to transit, energy efficiency in building design, efficient infrastructure design and the provision of open space and habitat for residents of all kinds. 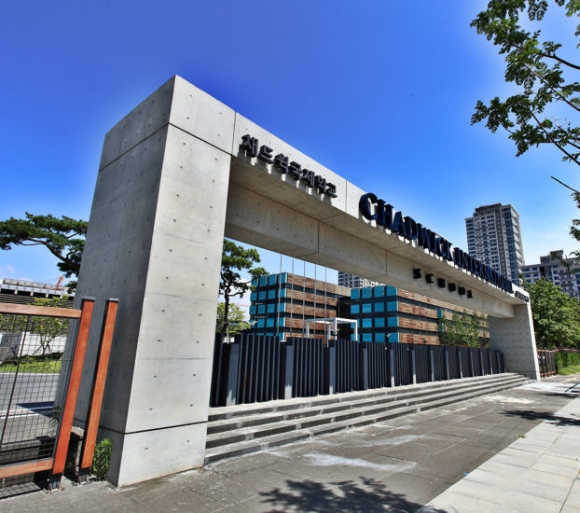 It builds upon the principles of New Urbanism and aims to promote the incorporation of positive planning aspects into local and municipal zoning codes focused on Smart Growth, Transit Oriented Development and Green Growth. 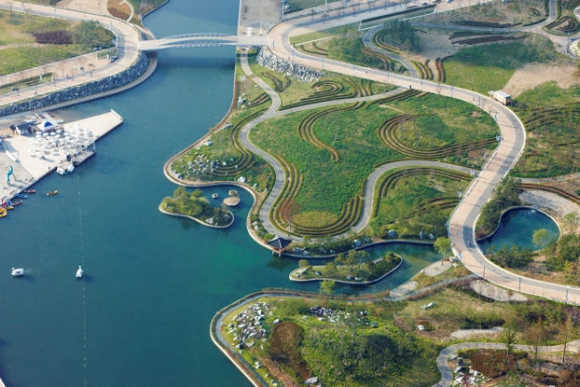 Songdo IBD will encourage and foster sustainable design practices by incorporating the latest design standards and technologies that reduce energy consumption, increase energy efficiency, utilise recycled and natural materials and generate clean or renewable electricity. 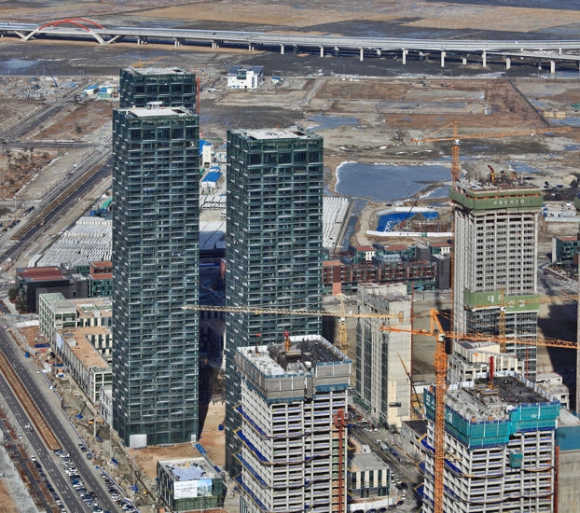 Songdo International Business District is a compelling aerotropolis strategically located just over seven miles from Incheon International Airport. The Incheon International Airport is consecutively rated one of the top in the world in number of passengers, customer satisfaction, and freight volume since its opening in 2001. Just a 15-minute drive across the new Incheon Grand Bridge, the Incheon International Airport is a gateway to more than one-third of the world's population in just three-and-a-hlaf-hour flying time, making Songdo IBD a convenient business hub for all of Northeast Asia. 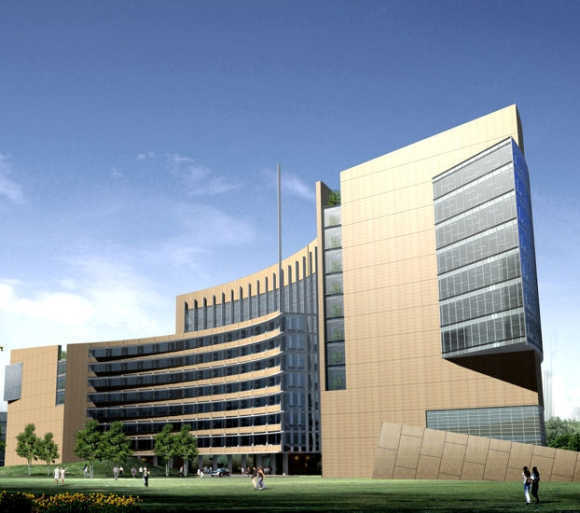 The airport will also be accessible from Songdo via subway and bus service. The new Incheon International Airport serves as the main hub for Korean Air, Asiana Airlines and Polar Air Cargo. 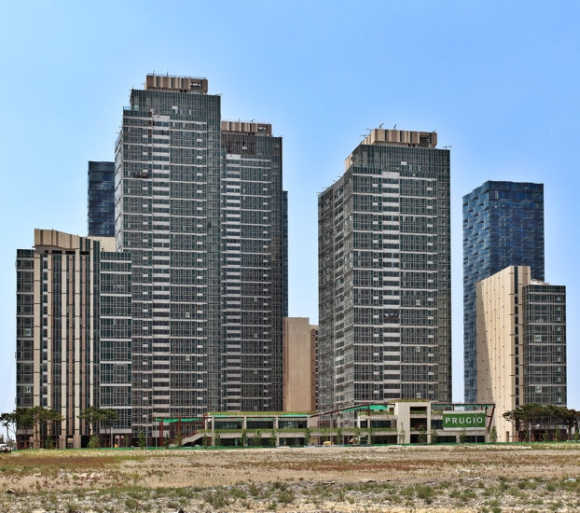 Songdo IBD is located in South Korea, a country rich with culture and about 5,000 years of history. Korea stands at the strategic centre of Northeast Asia and has the human and technological resources to best take advantage of the tremendous expansion of the region. Modern Korea is one of the most successful countries in the world and has emerged from the ruins of war in the 1950s to a population of 50 million and has become the 13th largest economy in the world today. 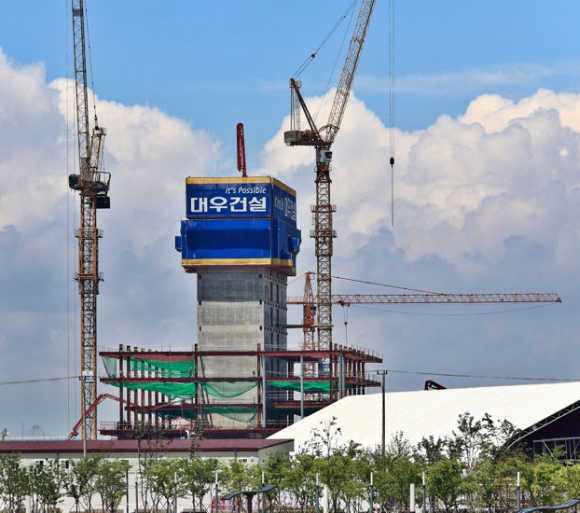 The South Korean government has put forth a vision of positioning the country as a Northeast Asia business hub, further transforming the country into a knowledge-based, service-oriented economy. 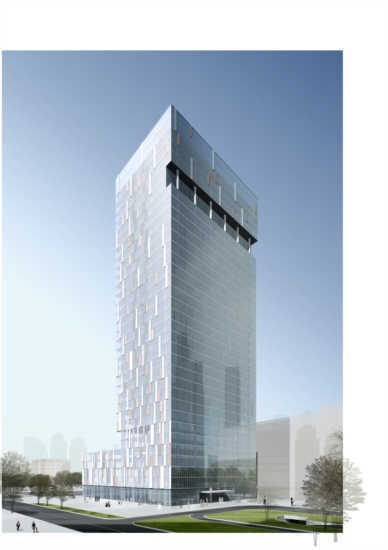 Image: A view of beautiful planned apartments. With its strategic location, rich market potential, strong industrial base, highly educated workforce, and a world-class communication and logistics infrastructure, South Korea is a dynamic place to live and to do business. Image: International Plaza's Ground Level Retail.